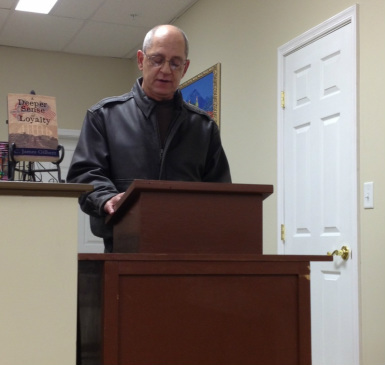 C. James Gilbert read an excerpt from A Deeper Sense of Loyalty during the First Friday event at Sunbury Books in Mechanicsburg, Pa. on February 1, 2013. 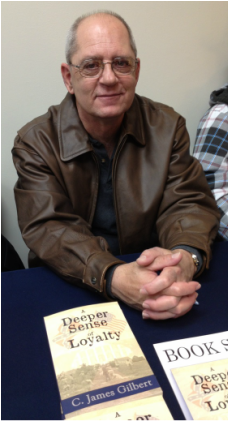 C. James Gilbert met with readers and signed copies of A Deeper Sense of Loyalty during an event at the Gettysburg Outlets in Gettysburg, Pa. on February 16, 2013. C. James Gilbert met with readers and signed copies of A Deeper Sense of Loyalty during the 12th Annual Art and Wine Walk in downtown Mechanicsburg, Pa. on May 18, 2013. 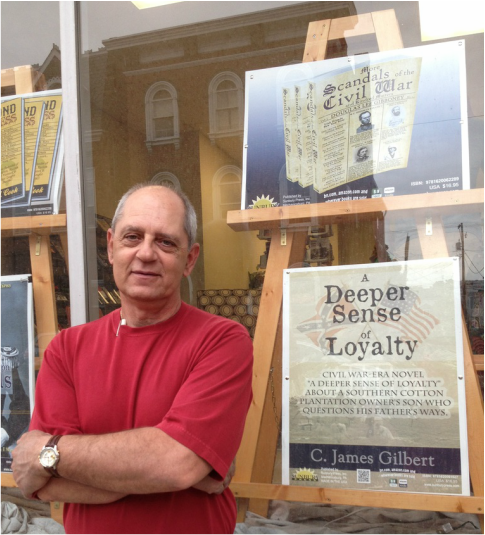 C. James Gilbert met with readers and signed copies of A Deeper Sense of Loyalty during the 150th anniversary celebration of the Battle of Gettysburg at the American Civil War Wax Museum in Gettysburg, Pa. on June 28, 29 and 30 and July 1, 2, 3, 4, 5, 6 and 7, 2013.